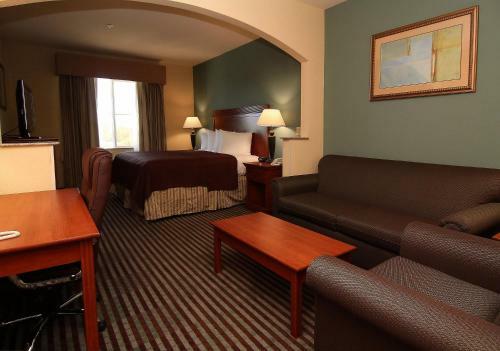 Featuring a flat-screen cable TV, this room also offers a coffee machine and work desk. A hair dryer and free toiletries are available in the private bathroom. 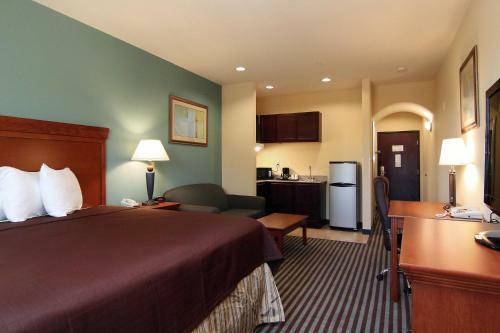 Featuring a flat-screen cable TV, this room also offers a kitchenette and work desk. A hair dryer and free toiletries are available in the private bathroom. 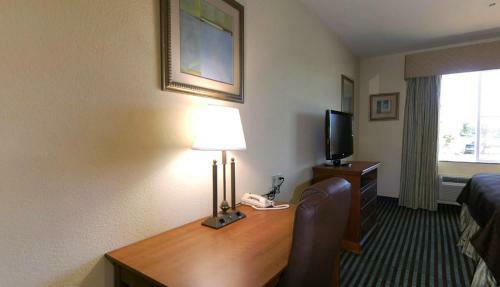 Featuring a spa bath, this room also offers a flat-screen cable TV, coffee machine and work desk. A hair dryer and free toiletries are available in the private bathroom. 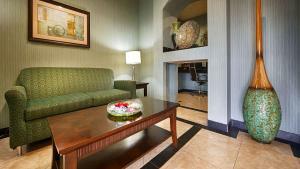 Featuring a flat-screen cable TV, this suite also offers a coffee machine and work desk. A hair dryer and free toiletries are available in the private bathroom. 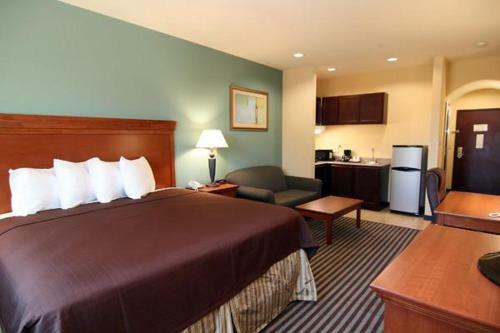 Featuring a flat-screen cable TV, this room also offers a kitchenette and work desk. A bath tub, hair dryer and free toiletries are available in the private bathroom. 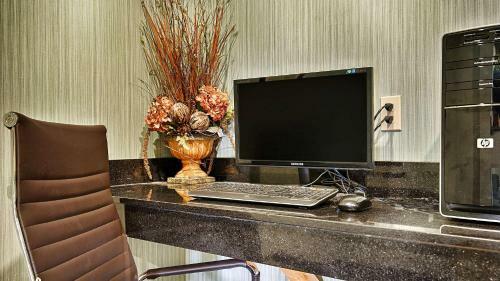 Featuring a flat-screen cable TV, this suite also offers a kitchenette and work desk. 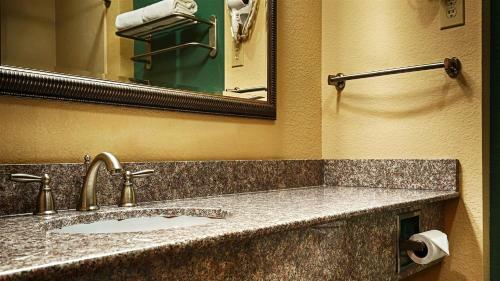 A bath tub, hair dryer and free toiletries are available in the private bathroom. 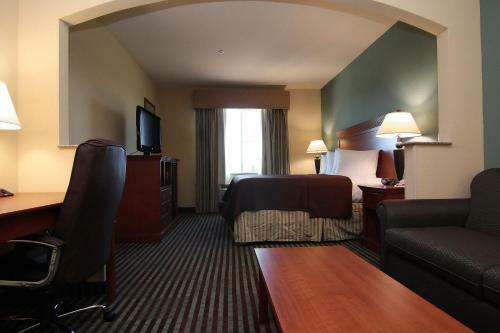 This hotel is located in Marlin and is 30 miles from downtown Waco. 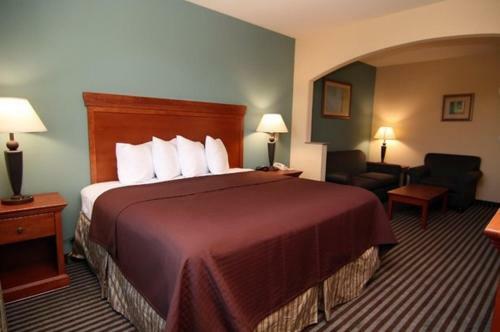 The hotel offers an outdoor pool and rooms with a flat-screen TV. 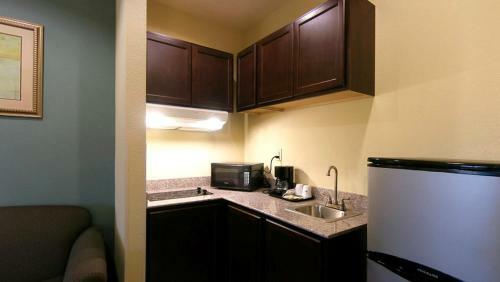 Best Western Marlin Inn & Suites rooms include a microwave and refrigerator, for a quick lunch or snack. 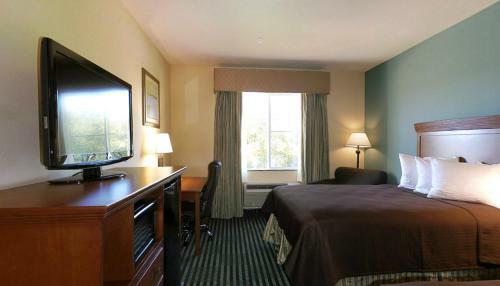 The rooms are also equipped with free Wi-Fi and a work desk. The Marlin Inn Best Western guests are provided with a daily full hot breakfast. 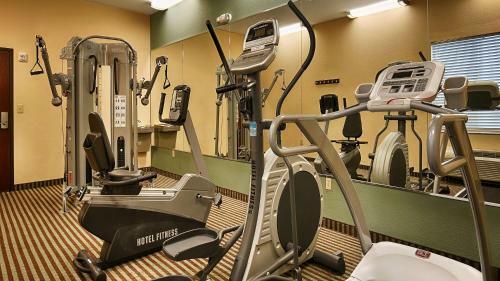 After breakfast guests can work out in the gym or work in the business center. The hotel is 27 miles from the Texas Ranger Hall of Fame. 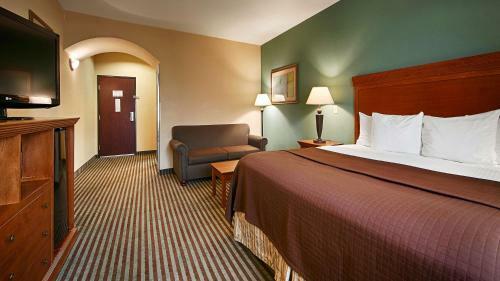 The Best Western Marlin is 30 miles from the Central Texas Marketplace, which features shopping and dining. Could have been better; at least the staff was friendly. Do it yourself waffle iron for fresh made waffles. The hotel offered free water everyday. Bugs and the Internet was down the entire time I stayed there. Fabulous Service. Super clean rooms and breakfast areas. This is the only hotel I stay when visiting Marlin. The staff is always helpful and the facility is always clean. This trip was the 4th one over a one year period and not once has there been an issue. The rate is high for the area, especially compared to other rates in the area. However, the other hotels/motels in the area are crap. I LOVED the DirecTV. It was the most channels I have ever seen in a hotel. The breakfast was very complete for a continental breakfast. It had everything that I like on a breakfast. A couple of minor repairs needed to be made which I reported upon our departure. For example, a light bulb was out over the sink, and one side of the commode hinge was broken. It was disgusting! Dirty with bedbugs!!!! Dirty, found bed bugs in both beds. And the front desk help on night shift and day shift was completely PATHETIC!!!! I will never stay at a Best Western again because of this. The breakfast was very good. The staff was helpful. Since nearly everything in our room was broken and they had to come help multiple times, and we did appreciate that. Working TV, better pillows (horrible), working coffee pot, additional towels. Very clean rooms & friendly staff. They are having water problems in Marlin, and they made sure there was bottled water to drink. No bad experience at all. Does anyone answer the phone at this place? I've been calling the hotel for 2 hours straight, because I am trying to get In touch with my Grandmother who is staying at the hotel......... No automated system? Really ? Their was a boiling order for the city water,so we had to be careful not to drink or use the faucet to rinse toothbrushes. No coffee or orange juice for breakfast but that was a community problem not Best Western's. Management was extremely rude, would not let me cancel reservation when my wife was to ill to travel. They charged me full price when the hotel was not even full. I have stayed there before and didn't get the type of room I reserved. I don't recommend giving someone like this your business, because they don't appreciate yours! Room is clean, but temperature in room was 85 degrees when I checked in. I lowered the thermostat to 68 degrees at 5:30pm. It's now 10pm and the temperature is finally down to 70 degrees. Room was like a dry sauna for the first few hours. Very clean. Staff was super friendly. Room was large. A/C worked very well for 105 degree weather outside! We arrived at 1or 2ish and recieved excellent service. I will definitely be back. I was on vacation back in February and stayed in 4 different hotels all over Texas. This hotel in lil ol Marlin, Texas was the best hotel that whole trip! 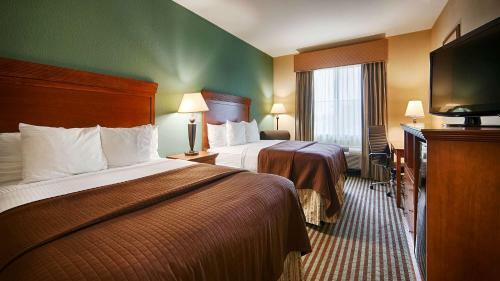 The price was good, the hotel itself and the room was clean, the room was beautiful, and most importantly the bed was comfortable. We got in fairly late, but left again to look at the town and to go grab some snacks. The lady at the front desk made sure we had silverware and water before we went up for the night. If I'm ever traveling in that part of the country again, I'd definitely go back to this place. This was a very good experience for me an my family we came for a family reunion and they gave all of us a great service the breakfast was awesome. The rooms were clean. 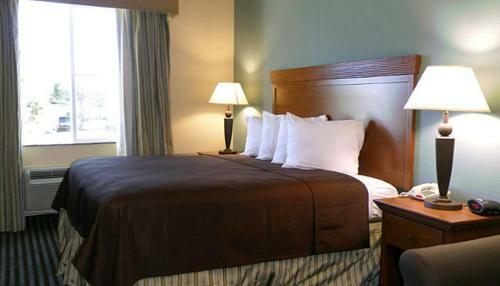 The housekeepers were friendly and cleaned our rooms very nicely. The front desk helped me with all the directions. They gave us all the information of marlin restaurants and churches. Overall this was the greatest experience ever. Off Route 6, this straightforward hotel is 7.4 miles from Falls on the Brazos Park, and 28.7 miles from downtown Waco. The relaxed rooms have free WiFi, flat-screen TVs and desks, as well as microwaves, minifridges and coffeemakers. 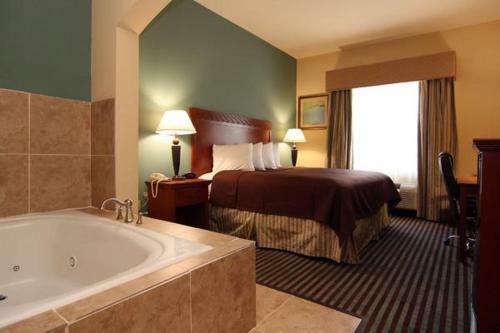 Some rooms have pull-out sofas, and suites add whirlpool tubs. 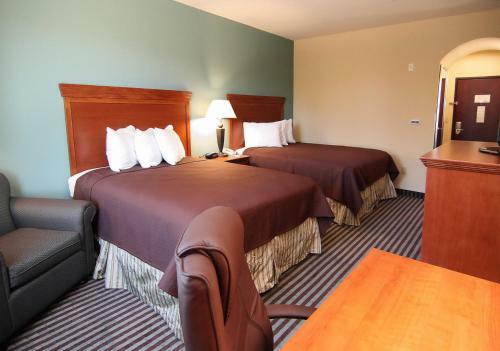 Complimentary amenities include hot breakfast, and parking for cars, trucks and RVs. 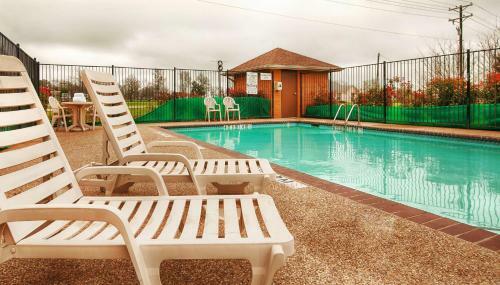 There’s also an outdoor pool and a fitness room, as well as a business center and an on-site laundry.